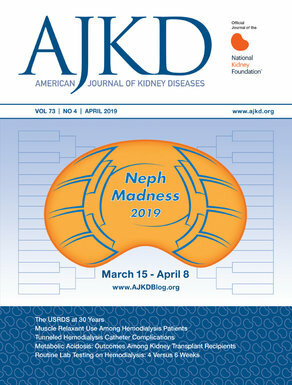 Day 1 of ASN Kidney Week. November 12, 2014 Thursday. On March 2014, a KDIGO Controversies Conference on Iron Management in Chronic Kidney Disease was conducted in San Francisco, CA, co-chaired by Drs. Glenn M Chertow (Stanford University School of Medicine, USA) and Iain C Macdougall (King’s College Hospital, UK). There has been recognition of a pattern of increase in utilization of IV iron formulations in recent years, and one of the postulates for this is the decrease in use of ESAs (also discussed in a previous blog post of mine) because of attendant safety concerns with achieving normalization of Hgb (with ESA usage). Dr. Macdougall gave a nice summary of what were discussed and addressed in these meetings. Iron deficiency (in the presence of anemia) was associated with poor prognosis, lower quality of life and exercise capacity, particularly in patients with CHF, e.g., Cardiorenal Syndrome. No test has been identified to be diagnostic of iron overload. The iron overload that occurs with IV iron administration is particularly distinct from hemochromatosis, in terms of its effects on organ systems, e.g., liver, heart, pancreas, kidneys. There are several laboratory tests that are available that can be used to measure oxidative stress, e.g., MDA, F2-Isoprostanes, lipid hyperoxides, ADMA, 8-oxodG, protein carbonyl, AOPP, glutathione-related activity, GSH/GSSG. There is experimental evidence alluding to IV iron’s capacity to promote oxidative stress, inflammation, and atherogenesis. However, most clinical trials supporting this theory, are primarily ‘observational’ in nature. At present, there is insufficient evidence to recommend that 1 IV iron formulation is superior over another as far as their ability to induce oxidative stress is concerned. There is experimental evidence that suggest that iron can modulate host immune function, e.g., monocytes, neutrophils, BUT the results of various studies seem to be conflicting. Regarding whether cumulative doses of iron actually correlate with increasing risks of infections, most of the support for this come from observational epidemiological studies. All IV iron formulations can potentially cause hypersensitivity reactions BUT the risk of life-threatening events remain rare. Dr. Macdougall added further, that based on current available literature, the benefit/risk ratio of IV iron remains the same, and the WG felt that there was not enough information to justify updating the current KDIGO Anemia Management Guideline. The WG recognizes that need for greater evidence-based RCTs on this topic cannot be underscored. In conclusion, he mentioned about an upcoming trial called PIVOTAL (Proactive IV irOn Therapy in hemodiALysis patients) which is a UK multi-centered prospective open-label 2-arm randomized controlled trial of IV iron therapy in incident hemodialysis patients. This will hopefully shed some light on some of the issues previously discussed.